Currently the welcome screen supports keyboard navigation through the list of recently opened projects, but pressing the "Enter" key doesn't open a project. We're copying the Xcode welcome window's behavior here: we want double-click to open a project (which it currently does) and "Enter" to open a project, but we don't want single-click to open a project. 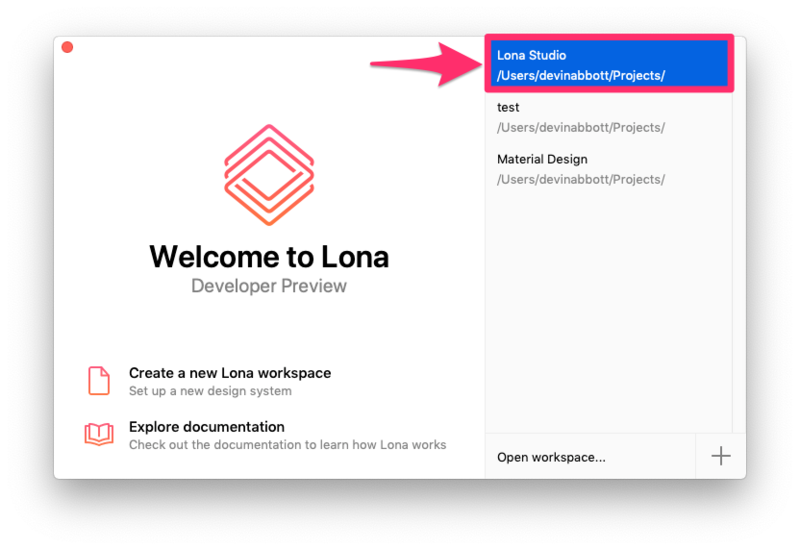 The project list component is in LonaStudio/Workspace/RecentProjectsList.swift. I think overriding the keyDown method and handling the return key (NSCarriageReturnCharacter) will be simplest, but I'm open to anything that works.